The patrol ship Yaroslav Mudry. 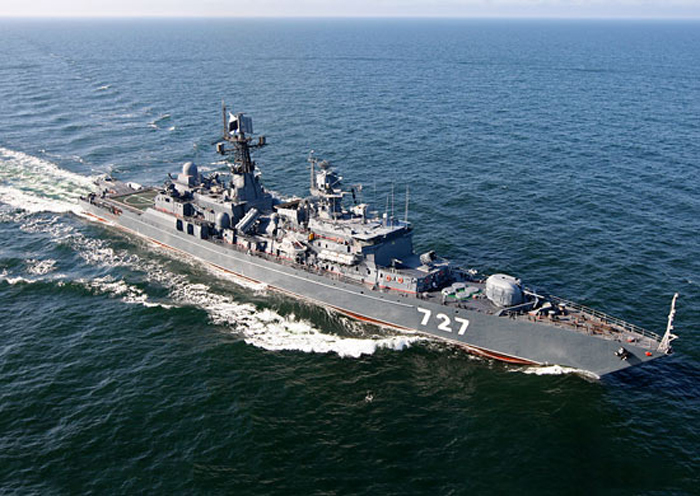 The Russian Baltic Fleet’s Project 11540 patrol ship Yaroslav Mudry and the tanker Lena have arrived in the Cuban port of Havana on a business visit, fleet spokesman Roman Martov said. "The patrol ship Yaroslav Mudry and the tanker Lena have arrived in Cuba on a business visit," Martov said. "In the capital of Freedom Island, the Baltic Fleet sailors will replenish water and food supplies, carry out a planned check of the ships and have a rest after a trans-Atlantic passage," he added. In mid-October, the patrol ship Yaroslav Mudry left the Mediterranean Sea where it made part of the Russian Navy’s permanent grouping. The patrol ship was performing anti-piracy tasks in the Indian Ocean over several weeks. After that, the ship crossed the Mediterranean Sea to the Atlantic Ocean. The patrol ship started its long-distance voyage on June 1.